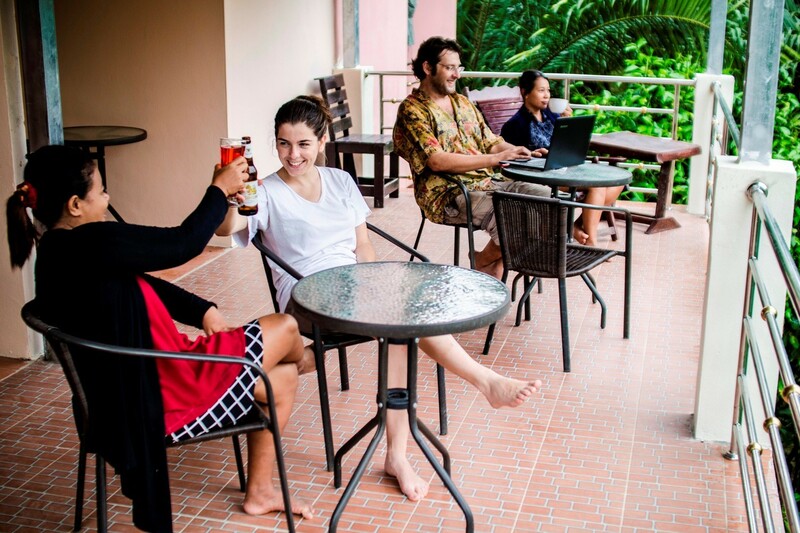 Overlooking the mountains of the National Park, Coco Khao Sok Hostel is the perfect place to explore, connect, and relax into nature. We arrange fantastic adventures, we cook great food, and we will welcome you with a warm heart. Our clean and comfortable rooms are air-conditioned. No awkward bunk beds here – all of our single-level beds have new mattresses! Our locally acclaimed restaurant and bakery serve delicious food and drinks in a relaxed atmosphere. Each of our air-conditioned rooms has between 2 and 5 single-level beds (no bunks). Each full sized single bed is new (purchased in late 2016) and comes with clean linen. We have 1 bathroom for every 3 beds, so you’ll never have to wait long for a shower, and towels are included. The nearby balcony terrace is a spacious chill zone with views of Khao Sok’s famous limestone mountains. When you’re ready, feel free to book a room or tour package. Starting with the check-in Coco Hostel staff will do their best to make your stay unforgettable. Upon arrival you will be escorted to your bed and shown to your locker. We have a lounge with free WIFI and a variety of card and board games. 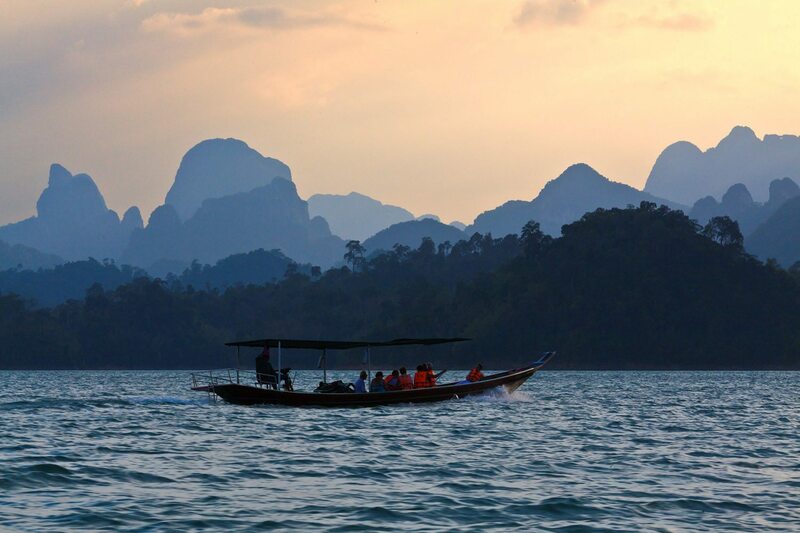 Our in-room directory provides information on all activities in Khao Sok, including overnight lake tours. 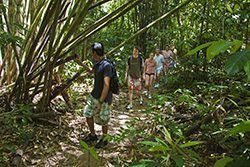 We are experts at organizing excursions, and our guide team is ready for your river activities and jungle hikes. The Coco Restaurant and Bakery serves a menu of East meets West, so you can order a flavourful Green curry along with a fresh baked pizza. As our reviews attest, our kitchen is one of the best in Khao Sok even the locals eat here! We bake fresh bread every day, and have a full-sized espresso machine that makes morning coffee into an art form. Want a free breakfast? 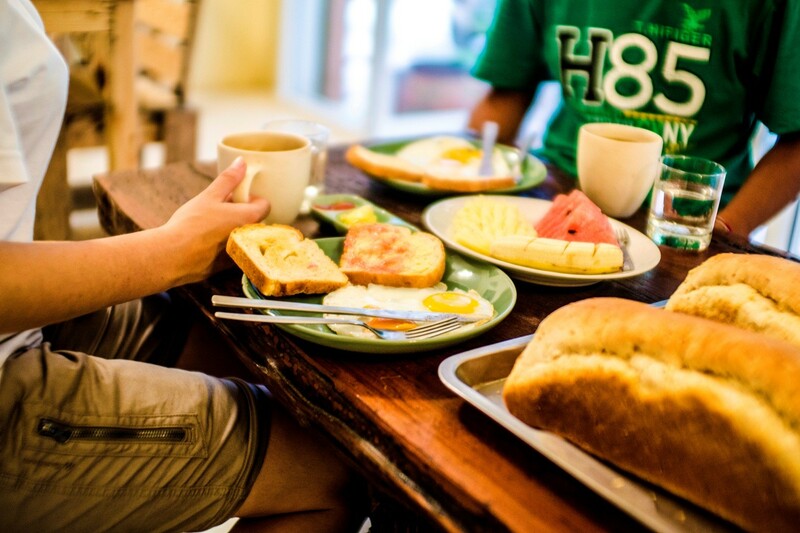 Then book a tour package in advance, and your morning meal is free, so you can start the day well fed and ready to adventure. 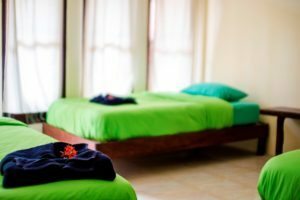 What makes Coco Khao Sok Hostel unique? LOCATION: Our hostel is located in a quieter part of the village, 3 minutes walk from the river. Just beyond, the ancient jungles of Khao Sok National Park beckon – Thailand’s most diverse ecosystem, where wild elephants still roam. KNOWLEDGE: Our local English speaking staff will help through the arrival process, organize the best experiences for your time in Khao Sok National park, and help you all the way until the end of your stay. NATURE: Right at the doorstep of Thailand’s secret garden, the Khao Sok national park, Coco hostel offers a chance to escape into the wild jungle where you can still spot wild elephants. Our expertise and connections with the local community will let you completely immerse yourself into the vastly untouched rain forest of Khao Sok. GIVING BACK: As a family-owned hostel we’re deeply involved into the local community. We give back by building schools, training guides and teaching children. Our sustainable and eco-friendly business leaves no guests unsatisfied and we’ll go an extra mile just to be sure and our reviews can only confirm it. 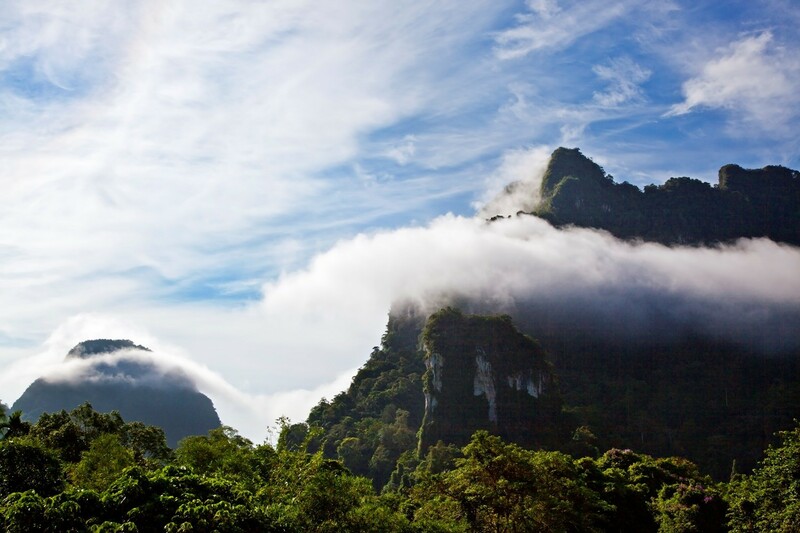 Khao Sok National Park is a natural tropic paradise. Coco hostel staff are local area experts and will share the best of the activities Khao Sok can offer. Professional guides can lead you through the meandering jungle trails, wildlife safaris, elephant experiences, canoe trips, trips to floating bungalows or many more. You can book one of our Khao Sok tours ahead of time, or you can choose your activities at any time while staying at the Coco Hostel. Start your day exploring and swimming along the trail at Khao Sok National Park, where the evergreen forest walls host exotic fauna, then return to Coco Hostel for a delicious lunch, spend the afternoon getting a Thai massage and end your day watching the sunset from our rooftop terrace and arrange with our staff for your next day to be even more special. One of our all-time favorite tours is a day long trip to the Cheow Lan lake, which can be extended with an overnight stay at the floating bungalows. 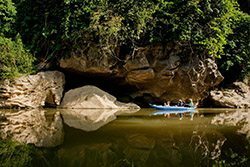 Experience the lake from a traditional longtail boat- during the trip into the lake see the majestic cliffs covered in lush greenery and keep a lookout for leaf monkeys, Lar gibbons, as well as blue-eared Kingfishers and the Asian fairy bluebird. Cheow Lan Lake one of the most scenic places in the world. Go for a hike into the primeval rainforest. 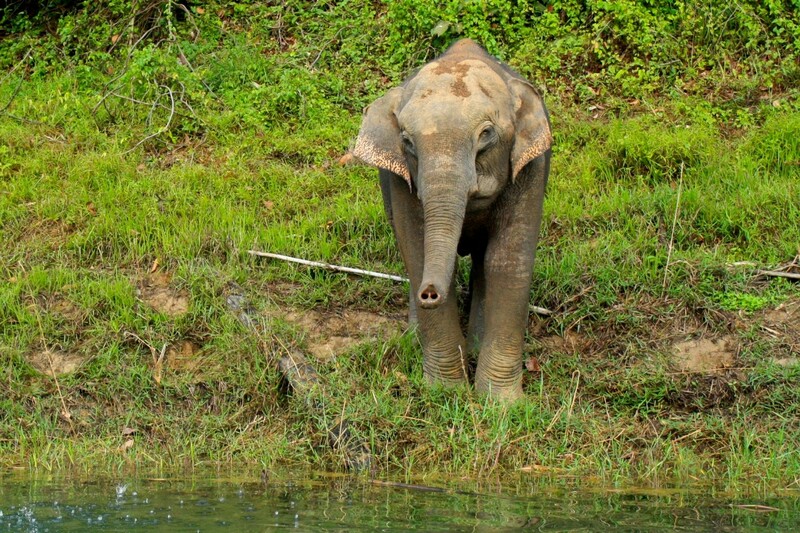 Canoe trips, river tubing, and elephant bathing. Thai massage, hot springs, and Thai cooking.